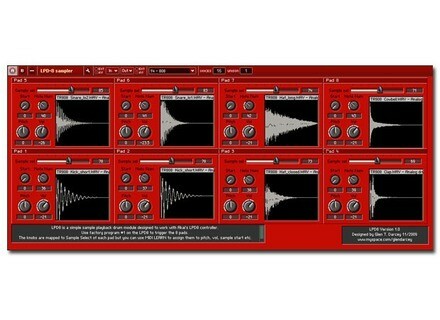 LPD8 Reaktor Module, MIDI Editor from Akai. The company says it has compiled "some of the best analog drum samples," 120 in all, from their library along with a module for Reaktor that makes triggering them with your LPD8 "quick and easy." You can download this free module with samples through this link here. Applied Acoustics Systems Synthesis Bundle Applied Acoustics Systems releases the Synthesis Bundle and the Instrument Bundle for the holiday season. Soundlib Updates G-Player Soundlib has released version 1.2 of its native "Giga player" plug-in - G-Player - for Mac OS X and, for the first time, Windows. Miroslav Vitous String Ensembles From artist, composer and string virtuoso Miroslav Vitous comes the String Ensembles virtual instrument, described as "a composer's dream".